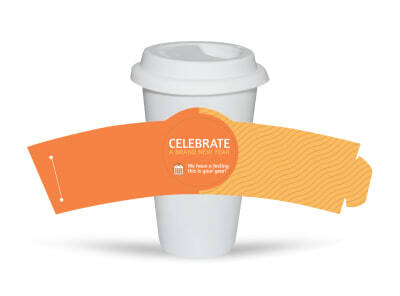 Transform every cup into a marketing opportunity with our holiday cup sleeve templates. 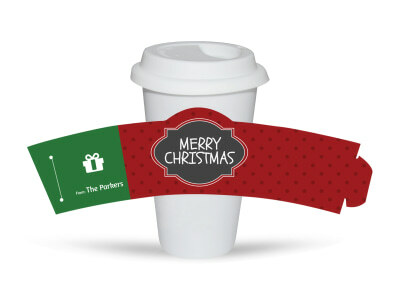 Whether you’re serving iced lattes or steaming hot cocoa, use our online editor to customize holiday cup sleeves that give drinks a festive feel. Tweak your establishment’s logo for the holidays by manipulating your graphic and adding seasonal touches, or send a holiday greeting to show patrons how much you appreciate their business. After your design makes the nice list, print it off yourself, or allow our printing elves to do the job for you.